Nicole has been trained herself in dressage, hunters and eventing. As a child Nicole took many lessons at her local riding stable from age 7 on. At the age of 12 Nicole began going to The Vershire Riding School for summer camp where she learned about eventing. She went on to spend the next 7 summers attending the camp and competing up to Novice level in recognized events such as Hitching Post and Tamarack Hill. Upon graduation from high school Nicole attended college at Centenary College majoring in Equine Science, with a concentration on training. She was on the IHSA Hunter Team, The Combined Training Team, Drill Team and Dressage Team. Nicole has since then opened Serenity at Last Farm, and continues to train horses and riders. 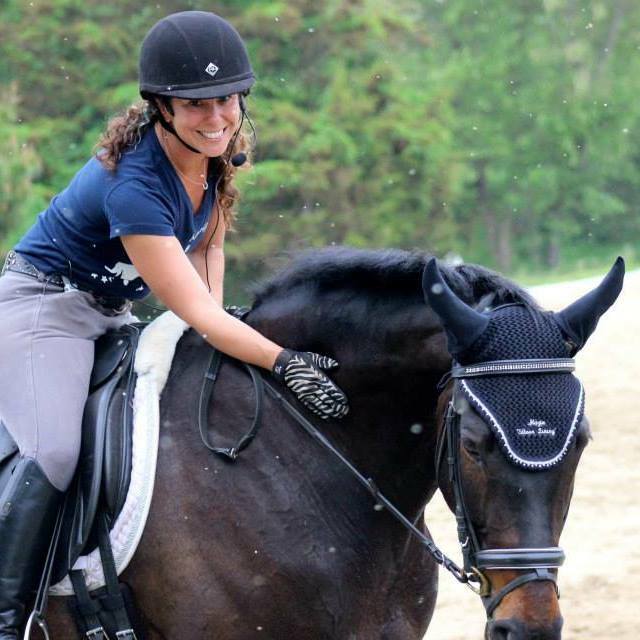 As an avid advocate for Off The Track Thoroughbreds she has retrained over 30 OTTB's and assisted in their placement in new careers and homes. Nicole specializes in working with young green horses, but is also available to assist with the seasoned horse continuing up the levels. With vast knowledge of many different types of riding Nicole works to achieve success with each horse and rider she works with. Nicole continues her education and takes regular lessons in Dressage and Hunters to this day.